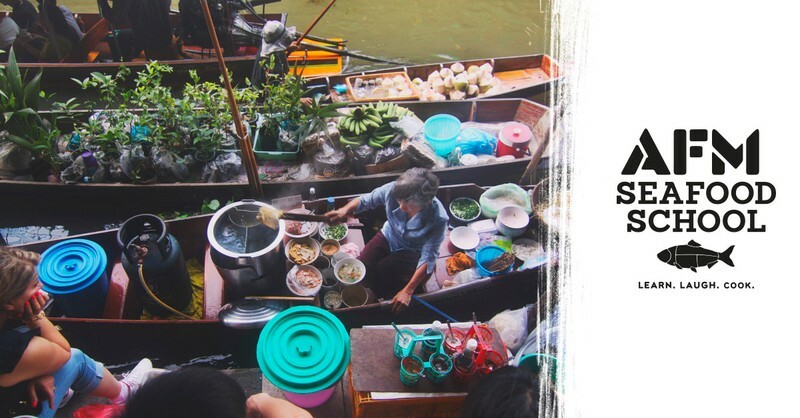 Hawker stands and food carts are a common sight in Asia and throughout Europe. On land and waterways, these street-food vendors serve hot or cold food items traditional to their region. Try your hand tonight in making two famous seafood street food cart dishes from roads around the world. Tonight you will cook Baja fish tacos and Prawn pad kee mao aka Drunken noodles.